Not sure if you want a waterpark pass or tickets for our other attractions? Then buy a gift certificate and decide what you would like to do once you arrive. 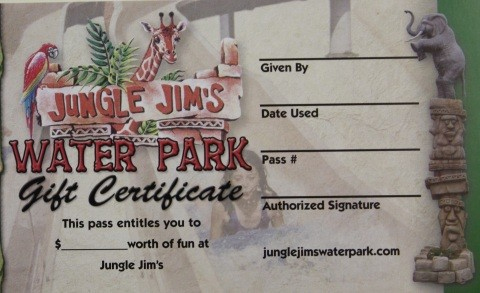 Jungle Jim's gift certificates make great gifts.